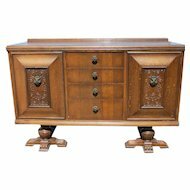 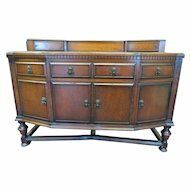 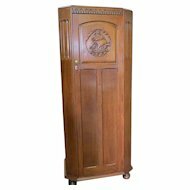 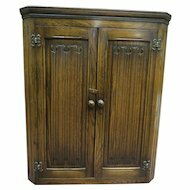 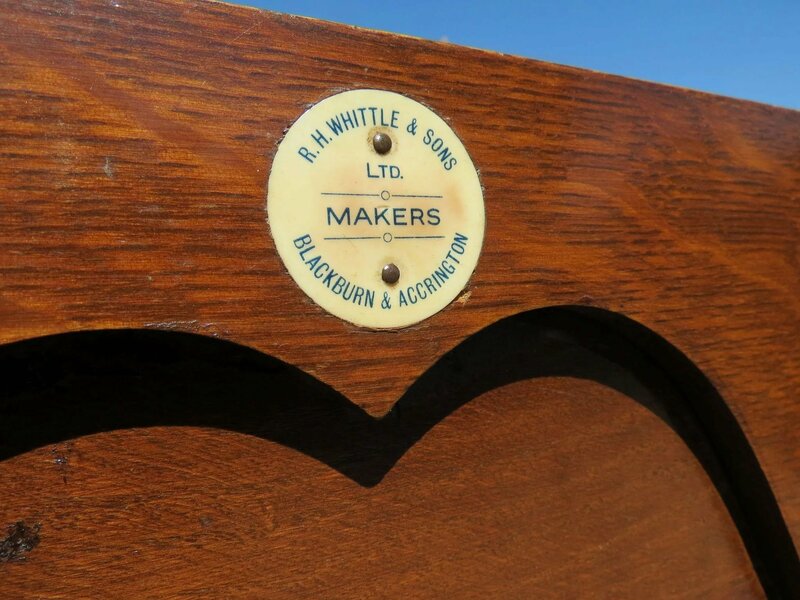 This is a beautiful English tiger oak sideboard from R. H. Whittle & Sons. 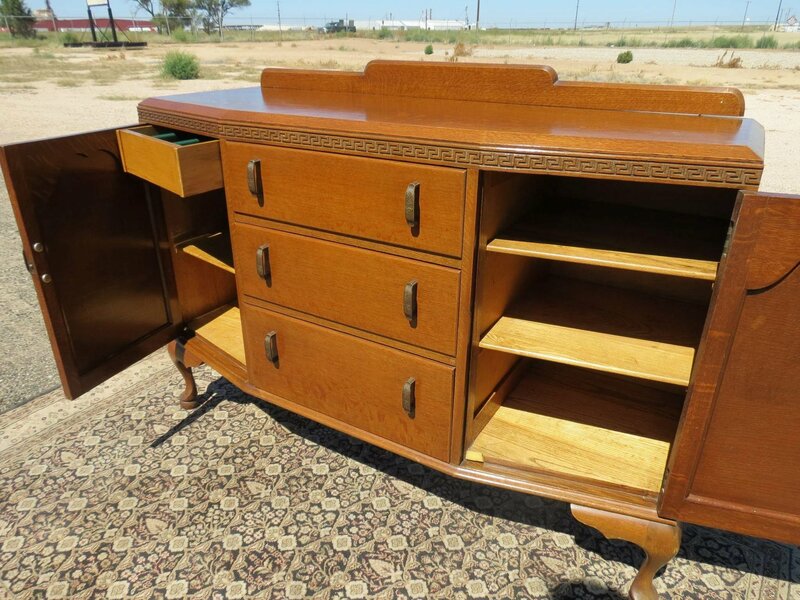 It has three drawers and two cabinets. 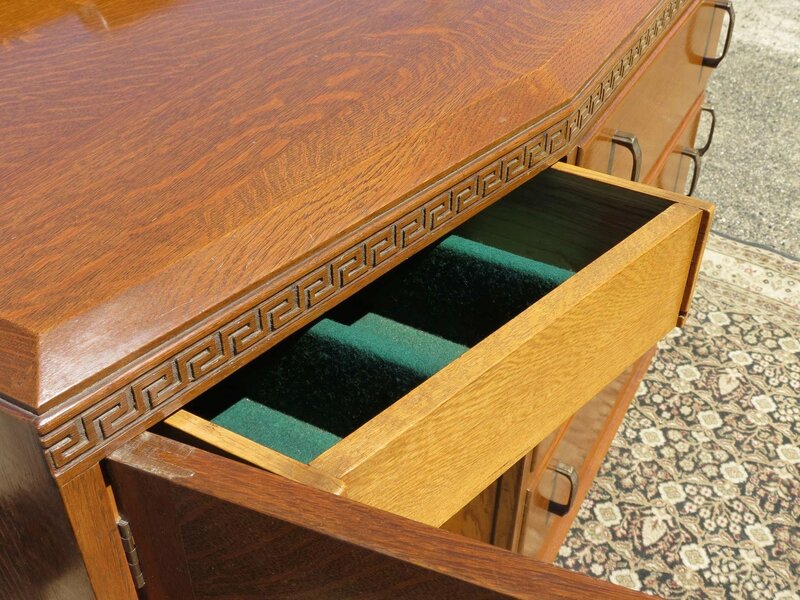 One of the cabinets has a lined silverware drawer. 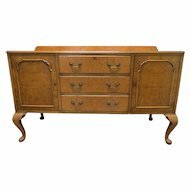 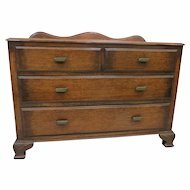 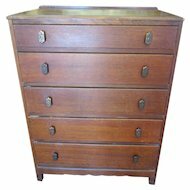 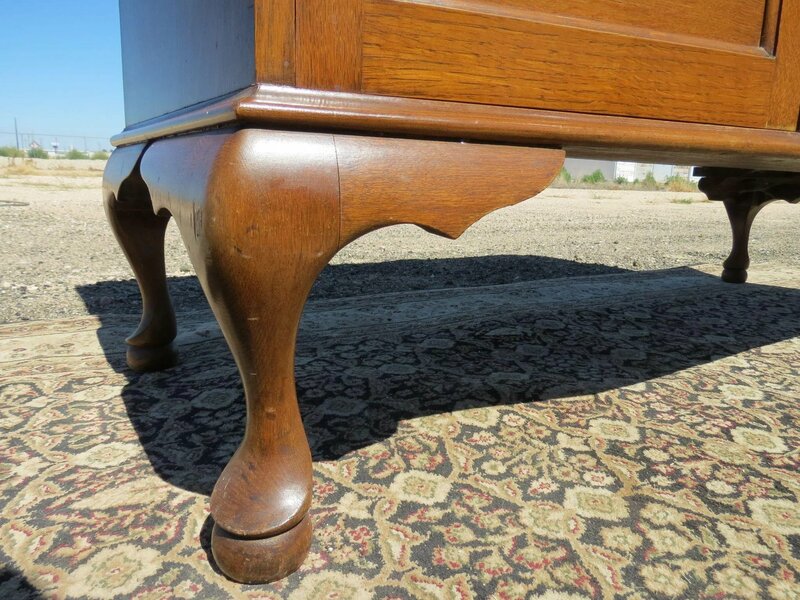 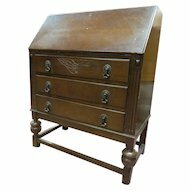 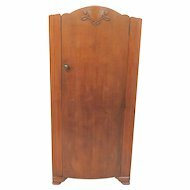 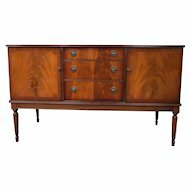 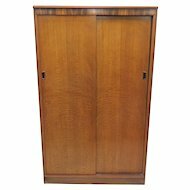 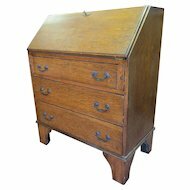 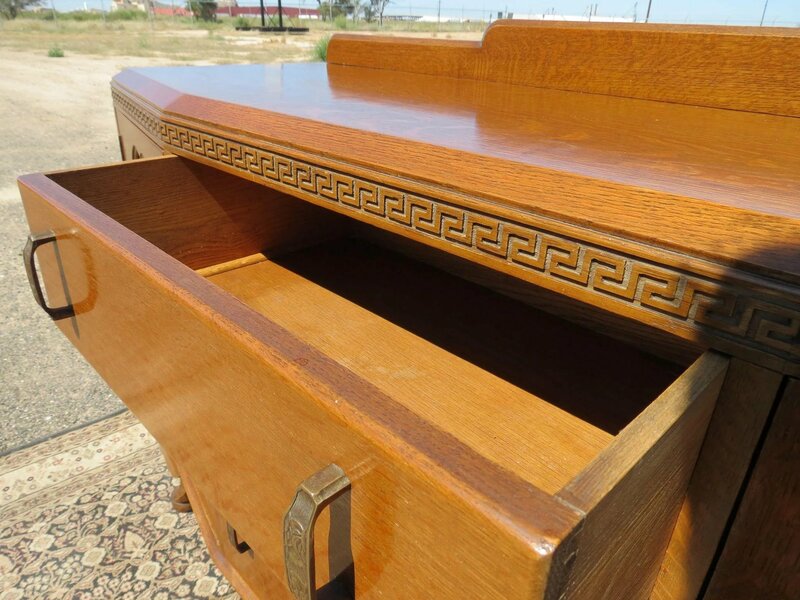 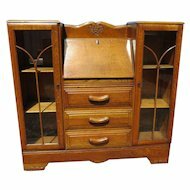 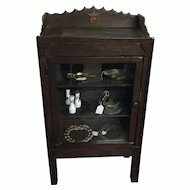 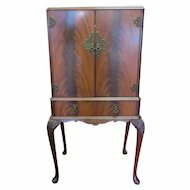 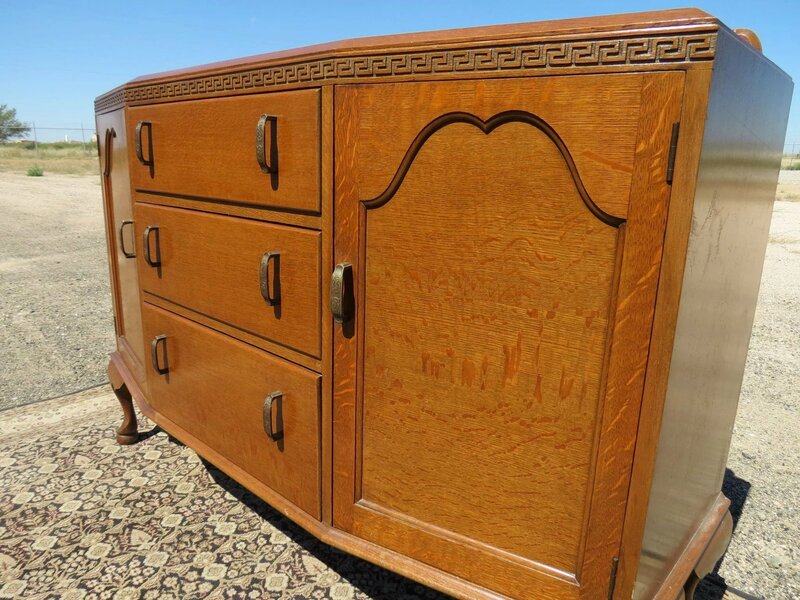 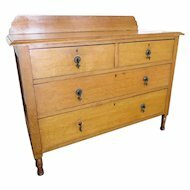 This piece is in excellent condition with nice hardware and dovetailed drawers. 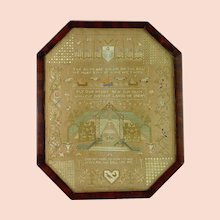 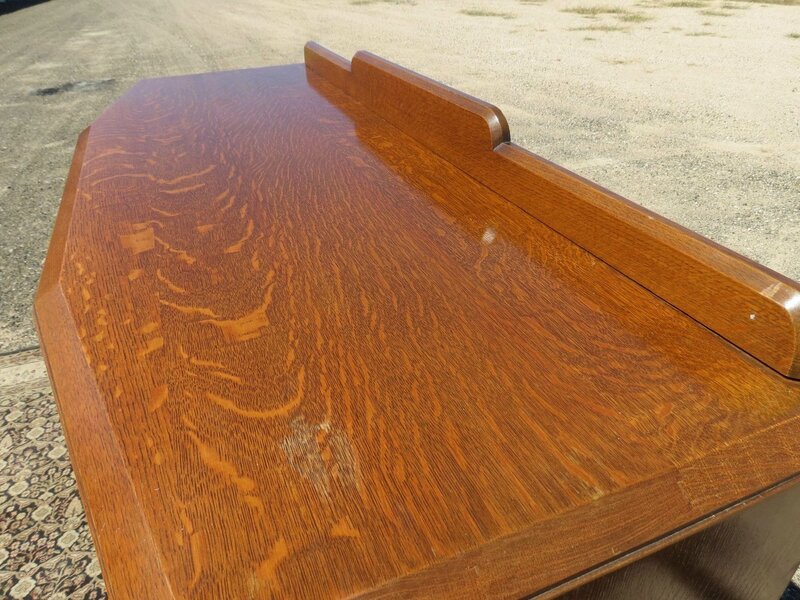 It does have one mark on the surface which you can see in the pictures. 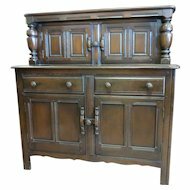 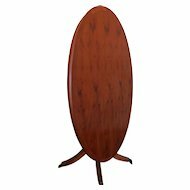 The sideboard is 54" wide, 18" deep and the surface is 37" high. 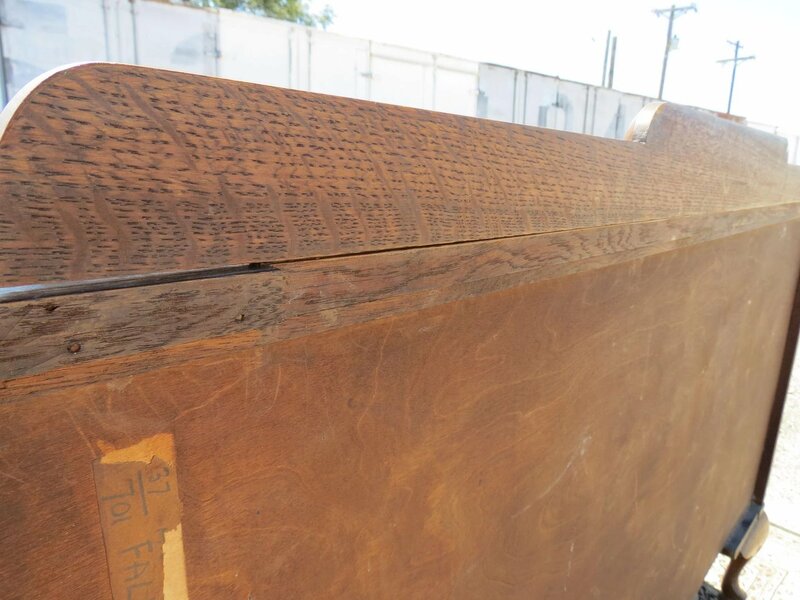 The backsplash adds and additional 4" to the total height.